Marcia Barlow, Vice President of Policy and Social Development, oversees “all things UN” for United Families International. She directs the development and updating of the UN Negotiating Guide and oversees research and policy analysis on domestic, as well as international issues. Some of Marcia’s favorite UFI projects are the Guide to Family Issues series and UFI’s new “Discussion Group” curriculum. 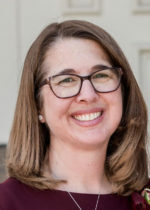 She’s particularly interested in the Religious Freedom issue and you’ll often find her testifying at municipal and legislative hearings around the country. Marcia holds a Master’s Degree from Harvard University (Kennedy School of Government) where she specialized in public policy. She and her husband, Greg, have three children and six grandchildren and she’ll tell you that it doesn’t get better than being a grandma. 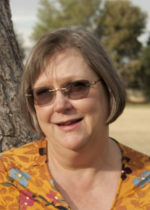 April H Gallart, Commission on the Status of Women (CSW) Coordinator and Director of Mission Relations. April attends CSW every year and coordinates UFI team member visits with delegations from around the world. April often serves as mission leader on many of these visits, during which UFI team members present materials which assist ambassadors and counselors in promoting the inclusion of family-friendly language in UN documents. April maintains and develops relations with missions and delegates through out the year. April is bilingual and speaks English and Spanish. She worked as a bilingual elementary school teacher for 2 years and frequently uses her Spanish speaking ability during mission visits. She holds a Bachelor of Arts in Spanish from CSU Long Beach and a California Teacher’s credential. Issues that she is passionate about include parental rights and religious freedom. She and her husband, Henry, have 4 children. Susan Roylance, Director of International Policy and Social Development, is the author/compiler of several books on international family policy, including the UN Negotiating Guide, The Family and the MDGs – Using Family Capital to Achieve the Millennium Development Goals and Family Capital and the SDGs – Implementing the 17 Sustainable Development Goals. Susan participated in many international conferences – and traveled to forty-four countries – visiting orphanages and street children programs, and helping develop family-based care for orphans. 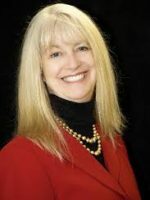 Susan is a founder of United Families International (1978), and has been actively involved in many pro-family organizations. She was the CEO/Manager of Roylance Publishing. Susan was a candidate for the U.S. Congress from Washington State, and chaired several initiatives and referendums in Washington and Oregon. 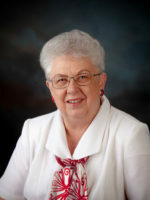 She authored a blog for the Deseret News, a Utah daily newspaper, titled: “Families around the World.” Susan and Robert are the parents of seven children, thirty-four grandchildren and eight great grandchildren. 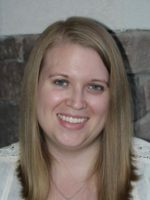 Heather Sandstrom, Director of Development was born and raised in Calgary, Alberta Canada. She graduated from Brigham Young University with a BA in Broadcast Journalism and TV News. She has worked as a TV news anchorwoman, reporter and talk show host in New York City, Boston, Canada, Utah, Oregon and Arizona. While Heather pressed “pause” on her career in order to raise her family, she used her communication skills to host “Voice of the Nation,” a UFI radio talk show focusing on pro-family, pro-life values. She also hosted and produced a show on parenting for American Mothers called “Mom to Mom.” Heather is currently the President of BYU Management Society in Phoenix and has served on the Board of Trustees and National Advisory Council for Southern Virginia University, BYU Alumni Board, National American Mothers Board, Ballet Etudes, Mesa Arts Center Foundation Boards and has done training videos and fundraisers for these organizations. 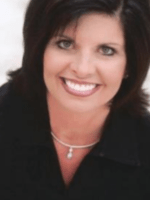 Heather is a popular motivational speaker and instructor of youth and young adults. She was the spokesperson for a national television ad promoting marriage between one man and one woman. Heather has contributed to the pro-family cause for many years as a UFI board member, moderating at a UFI-sponsored event at the United Nations, and as an organizer of two World Congress of Families, as well as a co-chair for the Prop 102 Marriage Amendment for the state of Arizona. Heather loves life and loves to give to her community. She is joined in this service by her husband of 37 years, Dr. Paul Sandstrom. Her family includes five children and 13 grandchildren with a 14th on the way. Their home is always filled with music, sports, dance and family. 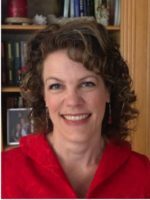 Heather loves to play tennis and swim, and both she and Paul enjoy water and snow skiing and going to the beach with their children and grandchildren. Michelle Stone, Director of UN Outreach and Engagement. She’s been an active member of UFI since 2000 when she started attending and speaking at UN meetings. While attending BYU Idaho, Michelle introduced a program that brings BYU-Idaho students to the UN Commission on the Status of Women (CSW) each year. In addition, she helps to plan UFI’s Parallel Events during CSW. Michelle prepares student interns and UFI team members to meet with the Ambassadors and delegates attending the United Nations Commission on the Status of Women. She served as the director of Stay Alive, UFI’s HIV/AIDS prevention program formed in conjunction with Reach the Children. She currently serves on the board of The American Campus Corporate which is establishing a university in Mauritius, Africa. Michelle and her husband, Karl, have been married for 25 years and were blessed with five amazing sons. When one son was married, they finally gained a daughter and could not be happier. Esme Weathers, Director of Finance, is in charge of UFI’s administration affairs and oversees the organization’s finances. She graduated from Brigham Young University Hawaii with a B.S. in Accounting and minor in Organizational Behavior. Esme has been with UFI ever since she was an accounting intern. She was able to join the team in action for CSW 2012 in United Nations and knows how important UFI’s work is. She is from Malaysia and is fluent in 4 languages. Esme enjoys diversity and loves learning about different cultures and traditions. Her belief and personal background has lead her to have a great passion for protecting and strengthening the family. Esme and Matt, her husband are enjoying and learning the ropes of parenthood with their little ones. While earning her Bachelors degree in Marriage and Family Studies, Annalise recognized that many of the ills that plague our society have their root in broken families. Anxious to spread this understanding, she worked as an intern for United Families International and saw the good that can be accomplished by advocating for healthy families at the local, state, and international levels. 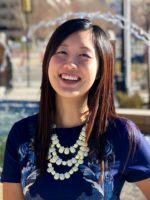 Her current advocacy efforts include working as a volunteer for the World Family News website and raising two young children with her husband, Bronson. Laura Morrin is. wife and mother. Her greatest joy is her family. She earned a BS degree in Human Development with a Minor in Business from Brigham Young University. She has spent more than two decades applying those studies. Along with her family, she has lived in multiple states enjoying each one. She currently resides in Southeastern Idaho. She enjoys; time spent with family, hiking, reading, pulling weeds, and anytime she can spend time helping with her children’s activities. Chalea Marker is a volunteer with United Families International. She began with United Families International as an intern, and wrote for the International Voice for Youth website. 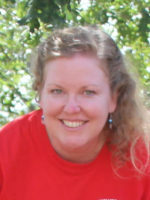 She has continued volunteering with United Families International by helping on the World Family News website. 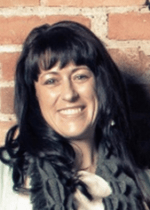 Chalea received her Bachelor’s degree in Marriage and Family studies from Brigham Young University-Idaho. She and her husband love spending time together and it is through building her own family relationships that Chalea finds inspiration to help others to protect and strengthen families. 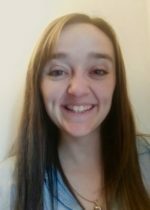 Kristen Hackett, World Family News Supervisor, became involved with United Families International while studying at BYU-Idaho. 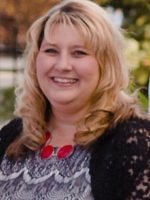 After completing a Bachelor of Science in Marriage and Family, and completing an internship with UFI, Kristen wanted to stay involved. The 5-Point Mission of UFI: family, marriage, life, parents, and religious liberty are passions for Kristen which she feels strongly need defending and strengthening. Most important to Kristen is her own family. She and her husband, Ryan, have 5 children, a beautiful daughter-in-law, and will soon welcome their first grandson. Kristen loves doing anything with her family, but especially vacationing. She loves visiting new places and being exposed to new cultures. One of her favorite pastimes is reading. Most summer days you will find her sitting by her swimming pool, watching kids play and reading a good book! 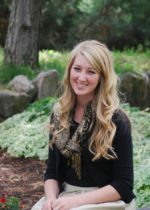 Lauren Bone is a student at Brigham Young University of Idaho majoring in marriage and family studies. She is currently an intern with United Families International. Lauren is passionate about the family, freedom of religion, and helping others. Lauren has been married to her husband for 8 years, and they currently have four young children. In the future she hopes to be a marriage and family therapist or a clinical mental health specialist. Holly Jo Martin is graduating from Brigham Young University – Idaho with a Bachelor of Science in Marriage and Family in December 2018. After learning the impact that United Nations policy has on families around the world, Holly felt moved to work with United Families International, advocating for families and religious freedom, two precious human rights she feels passionate about. When not studying, Holly’s favorite pastimes are: travel, photography, hiking, and spending time with her family. Janet Bell is a Marriage and Family Studies major who is excited to say, “I am finally going to graduate at 55 years old!” She loves singing, cooking, sewing, crafting, and being with her adorable grandbabies (There are 4 now and 1 one the way). She has traveled wall to wall: “I’ve been to the Great Wall of China, and the Wailing Wall in Jerusalem.” Janet served a service mission in Guatemala for her church when she was young and still speaks Spanish today. 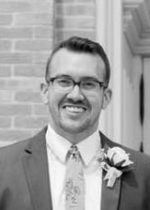 Johnathon Peterson graduated from BYU-Idaho December 2018 with a degree in Marriage and Family Studies with a clinical emphasis. Johnathon plans on getting a Master’s in psychology and then a PhD in clinical psychology. Johnathon’s father was in the military when he was a child and has moved over twenty times in his young life. However, he claims Texas as his home. He enjoys reading, watching movies/TV, playing sports, working out, being outdoors, and spending time with friends and family. Johnathon is a huge history buff and some of his favorite movies are either documentaries or based on historic events. Johnathon is married, and he and his wife are expecting their first child in July!